Enchanted Excurse: Where Is Your Elk? Afternoon Loverlies! I have come across a very interesting site called Moooh! They have some of the cutest items I have every seen, including accessories, shoes, and clothing for men and women. What I really love is they even have some home decor items! Whenever you sign up at Moooh, you can follow others, see what they fave, and comment on it. There isn't many plus sized items at the moment. So I asked them if they will get more plus size clothing in, and they stated that they are trying too. It would be wonderful if they do, because they have some cute sweaters I love. This is a very fun site to look at, because they have items you don't see in just any store. I enjoy looking at the jewelry because they have some cute ice cream earrings I adore. There are also some cute pillows I have my eye on. 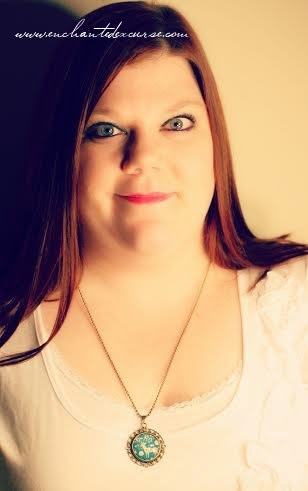 I was given the Retro Rosette Elk Necklace With Floral from Moooh to review. Let me tell you, I was so excited when I finally received this item in the mail. It took about a little over a week for me to receive this in the mail, not long at all. I believe their items are reasonably priced, because they are about the same price range you would see at other stores. The necklace wasn't as long as shown in the picture, but that could be because I have more up on top. I am very happy with the length it is, at least it isn't a choker. The one downfall of this necklace is, it gets caught in your hair. I am fine with it though, because it happens with necklaces from time to time. I will say I cannot wait to wear this necklace out again! 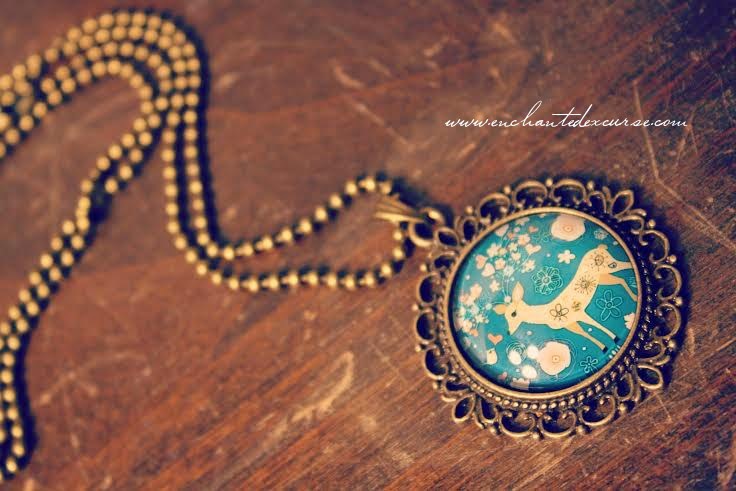 If you are wanting to purchase your own cute elk necklace, GO HERE. Have A Blessed Day!